As the mother of two children with condition’s on the Autism Spectrum Disorder I have seen first hand how they have been bullied and I have tried and thought endlessly how I could help stop this. I also have several friends who have children who don’t have ASD and they get bullied as well. While children with disabilities and special needs are far more likely to be bullied they aren’t the only one’s being targeted. So with this in mind Marie’s Garden will incorporate the Bee a Buddy Program into our Garden. 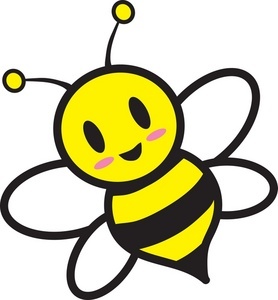 At the beginning of each Bee a Buddy gathering Marie’s Garden will introduce a different invited guest who will spend 15 minutes or so discussing very important topic’s including bullying, stranger danger, fire safety and many more crucial topics. Our guest’s will include local police, firemen and many other people who play a vital role in our everyday society. After our guest has finished talking he or she will be available to answer any question’s the parents and children will have. After our guest speaker has finished Marie’s Garden will then provide the children with fun games and exciting activities that relate to the topic of discussion for the Bee a Buddy Day. The Bee a Buddy Program is completely FREE. There is no fee for attending and all families are welcome to come to each and every Bee A Buddy Gathering we have. No two gathering’s will ever be the same, there will always be different guest speakers, topic’s and of course different things to keep the kids happy and engaged. There will also be different raffles and prizes at each Bee a Buddy gathering.